Bear Limvere grew up in the mountains of Colorado, spending many summers of his childhood in New Mexico. He is of Estonian and unregistered Colorado Indigenous descent. 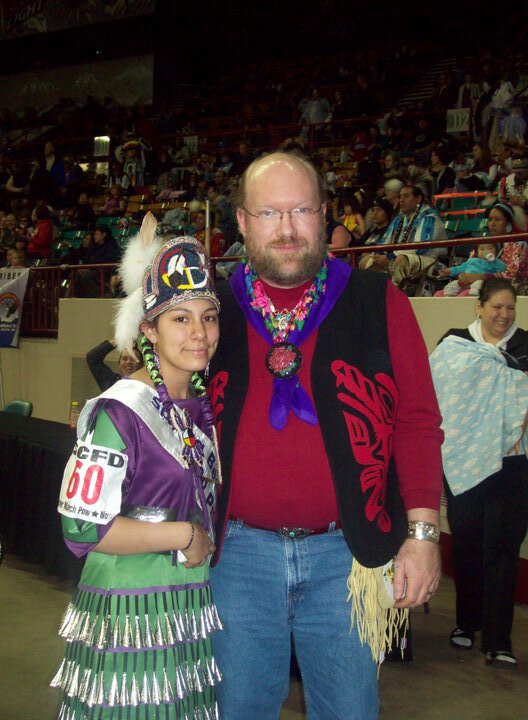 He grew up dancing in the pow-wow circle, and regularly attends Beardance and Sundance at Southern Ute. He studied classical music performance at Lamont School of Music, but real life got in the way of completing college. He was introduced to the Native American Flute by Larry Daylight in 1990 or so, and was hooked. Bear makes his home in the Black Forest region of Colorado with his lovely wife and business partner, Alisa. He performs at every chance he gets, and has worked in a number of ensemble performances with Pamela Joyce Weng and friends. In addition to his music, Bear teaches Native American dance through the youth group “The Raven Dancers” which he founded. He is also an internationally know wood artist, working on the lathe as well as carvings and cabinet work. He is a noted miniaturist, with pieces in collections in the US, Spain, Germany, Brazil, and many more countries.